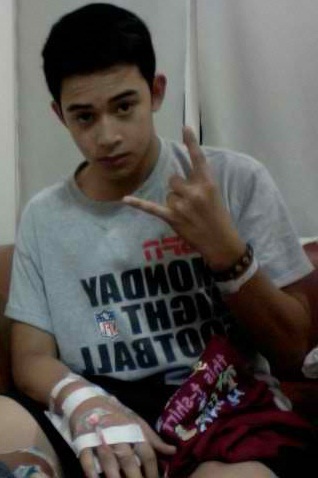 Diego Loyzaga, the lovable Derrick on Mara Clara, is in hospital now due to dengue fever. Diego was rushed to the hospital last Sunday, as confirmed on Twitter by his manager Biboy Arboleda. According to Biboy's tweet, Diego was rushed to the hospital by his aunt, Bing Loyzaga, and cousin, Alyssa Gibbs. "My bunsong alaga Diego Loyzaga has Dengue. He's confined now, his Tita Bing Loyzaga and cousin Alyssa brought him there. Doc said maagapan ang sakit. Get well soon Diego," Biboy Arboleda's tweet last Sunday. But fans need not worry now as Diego will be checking out of the hospital tomorrow morning, Thursday, and will immediately report for Mara Clara taping.